After hearing Skye captivate the audience with her performance in Kirton in Lindsey, it’s clear the Yorkshire-based singer-songwriter really has something to say. Her honest, open writing and raw country sound can be likened to Kacey Musgraves, who has inspired Skye, and her influence is obvious when you hear Skye’s lyrical style. She is definitely one to watch. At just twenty years of age, Skye is just at the beginning of her musical journey, and has been writing songs for her debut EP, due to be released in November 2015. Music came naturally to Skye, starting with musical theatre from seven years of age. Skye attended several dancing, singing and acting classes weekly. With the support of her family they watched Skye lovingly perform musical numbers in her bedroom to 30-piece dance routines. At sixteen she began performing her own self-written songs and gigging. Skye is now in her third year of university at the Leeds College of Music studying pop performance. 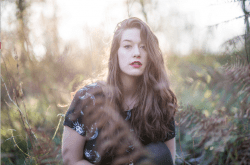 With her friendly attitude and her impressive repertoire, Skye has managed to charm her way onto many folk festival stages with her band, gaining some traction before she releases her music for the general public. The EP will be released very soon, and her single “You & I” will be released in January of 2016!